In today video i am going to show you how you can start to sell on lazada using dropshipping with chinabrands.com with zero start up cost, NO inventory and definitely no shipping need to be handled.Before we start , subscribe to my channel to learn more tricks on how you can start selling with zero cost . The very first thing you need to do in order to sell on lazada using this dropship method is to register your free account with china brands.So , just head to chinabrands.com and register your free account now at this link https://www.chinabrands.com/ . So just key in all the details here and click join now. The next step that you are going to do is to syn your lazada account with chinabrands account. It is very simple do not worry . Step 1: Just click on the arrow beside MY ACCOUNT , and look for authorized platforms . So these are all the brands that CHINABRANDS.com are able to sync with . STEP 2: lets click on lazada and click on add authorization now . From here it will bring you to the lazada log in page . STEP3: Sign into your lazada account , so that you can authorize this sync. You can dropship on lazada philipines , lazada singapore and others country with Chinabrands.com .For me i am using lazada Malaysia , so i just select malaysia ,and my lazada account email and also password ,and click on sign and authorize button. so you are done. 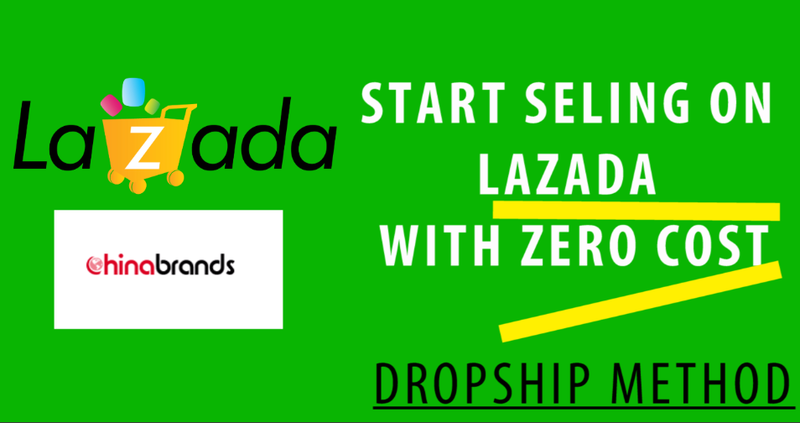 STEP 4:Select the product you want to sell and dropship on lazada . For example , i want to sell this dress on my lazada shop . so i pick this dress and click on publish . more than one store.and then click on continue . In this step just fill in all the details you want it to appear on your Lazada store. 2) Make sure your keywords are in there . 3) Make sure all your details are accurate. When you done just press on the red PUBLISH button on the top right . STEP 6 : Confirm and check your product on lazadaso now , lets go to your lazada seller account and check is that item in your lazada store now. So go to product button on your lazada account and click on manage product. I hope you enjoy this video , let start selling on lazada and earn some money without any startup cost.